Mesut Ozil has his book coming up on March 16th and the German sensation has well expanded Arsene Wenger’s headache. The 28-year-old former Real Madrid man has reportedly stalled his contract talks with the Gunners and with the team running in the crucial stage like this, the German decided to launch his autobiography on March 16th. 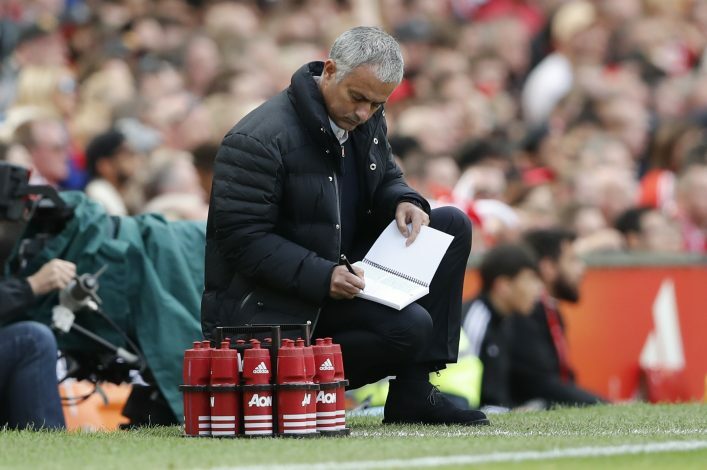 There are several claims in the book that will surely take the centre-stage and one those many is a dressing room bust-up with Jose Mourinho during their time at Real Madrid. The German news outlet Bild published an entire conversation and Ozil even claimed that Mourinho branded Ozil as a ‘coward’. “He pauses. Stares at me with his dark brown eyes. I stare back. Like two boxers at the stare-down before the first round. The drama further continues: “He shows no emotion. Just waits for a response from me. How much I hate him right now. And I love Mourinho actually. 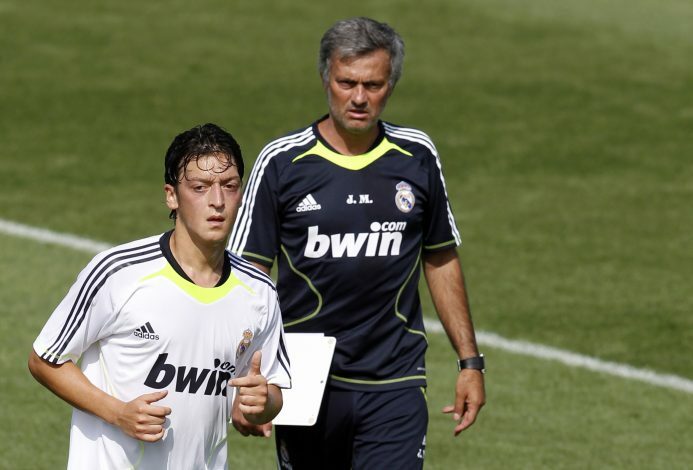 Ozil finally had it all and decided to throw his Real Madrid shirt towards Mourinho and told him to wear it. “[Mourinho adds}: ‘Oh, are you giving up now? You’re such a coward. What do you want? To creep under the beautiful, warm shower. Shampoo your hair? To be alone? But that was something to learn for the German and the 28-year-old did admit that this proved to be a valuable lesson for his career. He further went on to claim that when he decided to leave Real Madrid, Manchester United, Bayern Munich and Barcelona were the interested parties, but Barcelona of all clubs showed a lesser interest. “Arsenal were interested in signing me after the 2010 World Cup, as were Manchester United, Bayern Munich, Barcelona and Real Madrid. “My agent say down with Bayern to discuss a move. The club told him about their plans with me and how they intended to use me. He had similar talks with the other clubs that wanted me. “Before I travelled to Barcelona, I was convinced that was my next club. I was leaning toward joining Barcelona. There was no team in the world that played more beautiful football. “But Guardiola did not attend talks and he did not call me either the days after. He did not even send me a text.